Discovered the Monarch around 1:30; she was still on the same stalk at twilight although she had moved further up the plant. 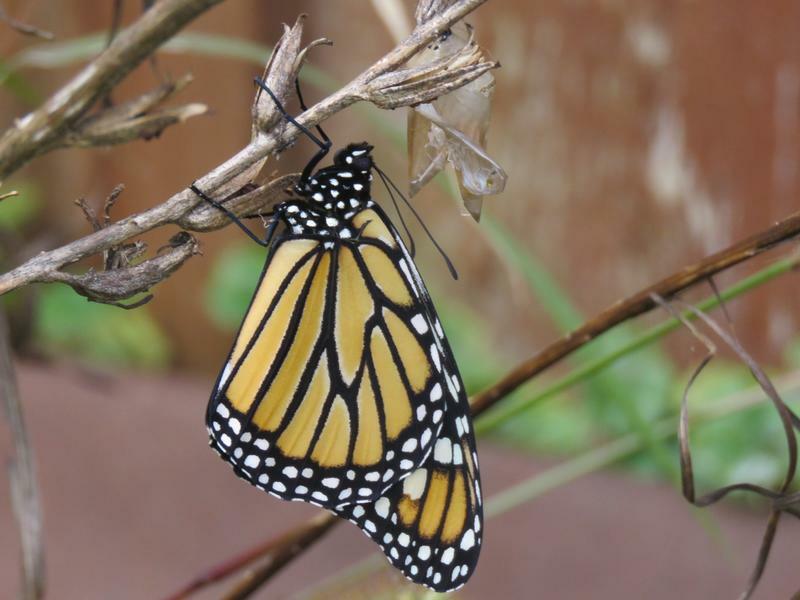 In the photo, you can see the chrysalis to her upper right. I'll check in the morning to see if she is still there, although a morning rain is forecast.